The CEPIC Congress is the largest networking hub for agencies worldwide and will take place in Paris – for the first time – from 5 to 7 June 2019. Why should I attend the CEPIC Congress? It is the only event in the picture industry that offers three days of nonstop networking with picture industry professionals from +30 countries. To attend conferences focusing on the latest developments in the picture industry. To meet agencies’ CEOs and sales representatives, as well as footage suppliers, industry service providers, technology specialists, legal professionals and the creative minds that innovate the picture industry, all in one place. Why is the Congress in Paris a special one? We will take networking to the next level in Paris. Only on the first day of Congress, you can meet local customers as part of our collaboration with PIXDAY, the unique French professional trade fair between buyers and sellers of pictures. Why should I attend PIXDAY? To join the largest picture buyer event in the country where photography began. It is the only time of the year when you can meet, together with your local distributors, French picture buyers representing all the sectors of the industry, including the press, publishing companies, communication agencies, and new media. To develop your network as well as your knowledge of the French market, that remains one of the most active picture markets in the world. Save the date and join PixDay’s agencies on 5th June in Paris. How does the CEPIC Congress work? CEPIC is all about networking. So to make the most of your participation, you should arrange as many meetings as possible before Congress. After registration and payment, CEPIC will grant you access to a “connect” area for you to contact all registered attendees and arrange your meetings. 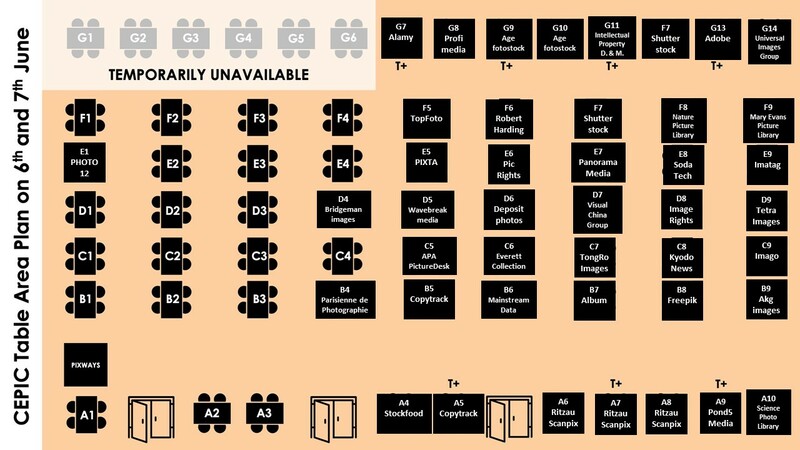 For higher visibility and comfort for your meeting, you can add a table to your registration. You can book CEPIC tables for 3 days (5 to 7 June) or 2 days (6 and 7 June). The latter will be available for booking as of 15 March. 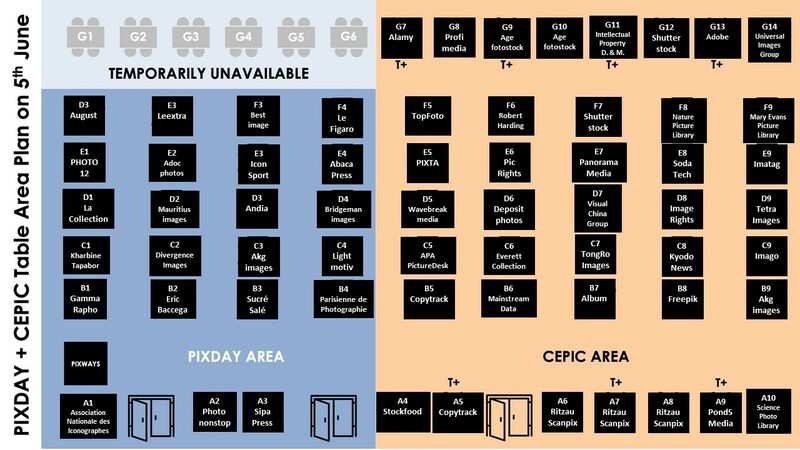 Do you wish to have your own meeting space at CEPIC or PIXDAY?